Are you an entrepreneur or investor? If you need the information about the best business investment opportunities in Canada, you should read this article from cover to cover. So, planning to start your small or big business in Canada, it is important to identify the needs of people and what they are willing to pay money for. This trick works everywhere including Canada and fetches huge profits, even during recessions. Starting up, try to set up your profitable business in Canada no further than the following 10 areas: Calgary, Montreal, Vancouver, Brampton, Ottawa, Winnipeg, Edmonton, Surrey, Mississauga, Toronto. Structures are collapsing because of their old age. Water systems are deteriorating. Sewage is poorly treated. All these spheres provide the great business opportunities for engineering firms to be capable to handle these problems. Just like in the US, baby boomers make up a large chunk of the Canadian population, with many of them around 65. For this reason, there’s an increasing demand for such mobility products as wheelchairs, walkers, canes, and stair assists. So, the smartest bet is in combining these products with related services such as bathroom renovations suitable for seniors. The increasing number of senior people provided new opportunities for business. The examples of such opportunities include in-home care and senior residences. Related opportunities include driving, delivery, catering, and cleaning services for seniors. You can start your own business providing services for seniors or consider buying a franchise if available. It is hardly believe that there can be something more attractive and profitable for business than medical sphere: IT products, smart devices, and diagnostic products. All of them provide better health care services at cheaper cost. There is increasing demand for these products. So, you have a good business opportunity in supplying these technologies and training people how to use them. If you have a good background in programming, there is a good idea to create an app that solves one or another medical problem. Like Americans, Canadians love pets especially dogs. The dog business in Canada is always profitable. You don’t have to be a vet to start this kind of business to take care of dogs and other pets. You can sell kennels, start a doggie daycare, open a dog snacks bakery, open a dog resort, start a dog walking or dog grooming service, etc. E-commerce has never stopped growing. E-commerce in Canada is now worth more than $15 billion. More than a half of Canadians buy goods and services they need over the internet. According to statistics, the average individual in Canada placed over 10 orders and spent over $1,300 or even more. This statistics is enough to prove that ecommerce businesses can be very lucrative for those, who can find the right products to sell. It is interesting to know, but the high-end segment of the retail economy doesn’t suffer even when the economic conditions are difficult. Many people in Canada are ready to spend their money for premium products and services that matter to them. 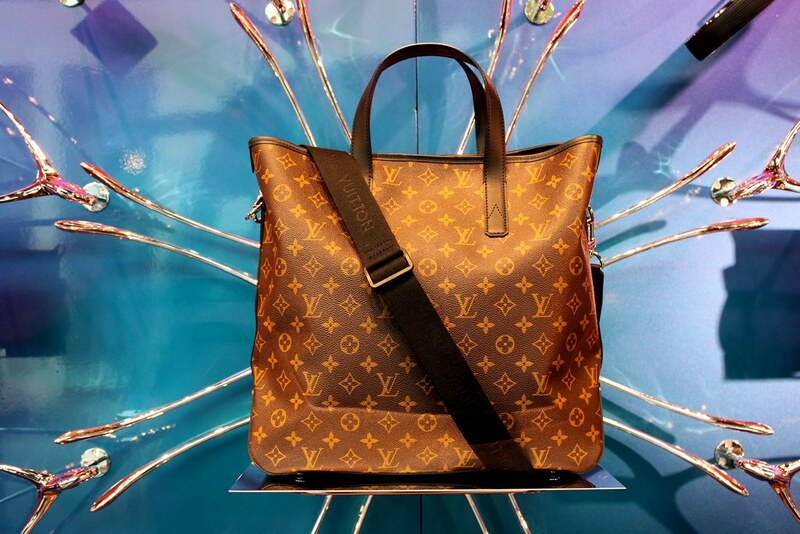 Luxury products, such as the women’s handbags, scarves, and shoes, are sold successfully. The high-end men’s products are also popular to sell. There is a good idea to combine luxury products with e-commerce. The result can be impressive! The number of smartphone users is increased a lot. There’s no limit to the profit that mobile app developers can make in Canada. More and more businesses in Canada become aware of the advantages of cloud computing. Big businesses led the way initially and surely. What is more, even small businesses feel brave enough to put their data up there. So, there’s a big business opportunity in cloud migration, helping businesses switch from on-site data storage and applications to cloud-based solutions. Remember that business opportunities always meet the people’s needs. Hair salons are always relevant. No matter how grim the economy looks, women and men will still scrape together all money they need for getting their hair done and look better. This is the business to get many successful examples. Thus, there were picked TOP three successful hair salons in Vancouver. You may visit any of them by using the car rental under 21 Vancouver location. Look attentively. Do you want to know how they were actually found? The experienced experts checked everything: reputation, history, complaints, local reviews, nearness, satisfaction, trust and cost to the general excellence. You deserve only the best! The most popular services are the woman’s cut, gentleman’s cut, barbering services, coloring, highlights, ombre, balayage, color corrections & extensions. The salon of this class is specialized in cuts, styling and treatments, blow dry, specialty style, conditioning treatment, smoothing treatment, wedding styling bride, extensions, root touch up, all over color, olaplex treatment, full head highlights, glossing, balayage & color correction. As you can see, the list of services is long. Nevertheless, successful business must be labour-intensive. The salon is placed in the heart of Vancouver. It boasts the comprised of skillful and talented hair stylists with their own individual specializations. Come in and relax and be prepared to get pampered by their professional team of award winning hair stylists as they attentively work on your personal hair needs. You will feel at ease, as you meld into the comforting confines of this contemporary salon that you are in great hands. Traditionally, the salon is specialized in cut and style, color, root touch up, regrowth, organic color systems, extensions, olaplex, specialty color, ombre and balayage & restructuring treatment. Of course, you can find the same services in the list of other salons, but pay attention not only to services, but the quality of work. Though there is no guarantee that any business will succeed. Nevertheless, with due diligence and quality information these business opportunities have greater chance of success. Remember, whatever you choose, you have to do what the people need.